Researchers at the Bloomington Urban Forestry Research Group (BUFRG) have conducted two street tree inventories for the City of Bloomington. The first inventory in 2007 (see publications below for a copy of the report) was completed by Burney Fischer, Mike Steinhoff, Sarah Mincey, and Lance Dye, and resulted in a doubling of the urban forestry budget for the City of Bloomington. During the summer of 2012, Burney and BUFRG received a contract from the City of Bloomington (COB) to conduct a sample re-inventory of trees in the public right-of-way and parks for the City’s Parks and Recreation Department. Research assistants Nick Myers and Kaitlyn McClain collected information on over 3000 street trees and park trees on public land in 10 neighborhoods. With Jess Vogt, Nick and Kaitlyn processed these data into reports for the City of Bloomington and Neighborhood Associations. Sarah will also be using information from the COB inventory to compare species and size distributions of trees on public property to those in private yards (data gathered as part of the Influence of Institutional Dynamics on Urban Tree Management project). 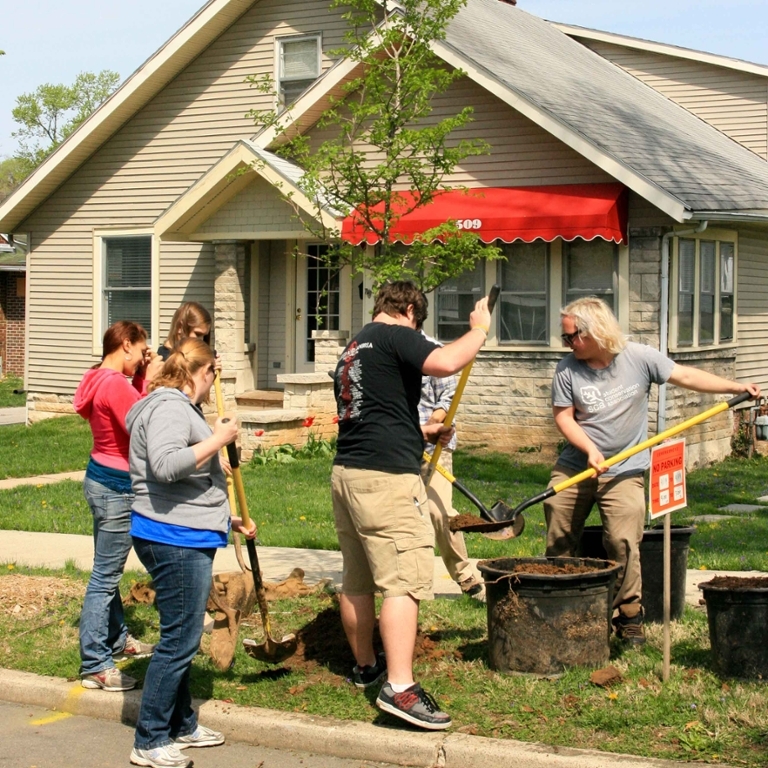 In addition to the neighborhood inventories and with financial support from the Indiana Department of Natural Resources Community & Urban Forestry office, trees planted between 2000 and 2012 by the City were also inventoried using BUFRG’s planted tree re-inventory protocol (see Evaluating the Outcomes of Neighborhood Urban Forestry for more details on this protocol). This information will be used to compare the species distributions and condition ratings for trees planted before and after 2000, as well as examine mortality rates for recently-planted street trees. Fischer, Burnell C., Kaitlyn McClain, Sarah Mincey, Nick Myers, and Jessica Vogt. 2012. City of Bloomington Public Tree Inventory - 2012. 18 pp. See a PDF of the presentation given at the February 26, 2013 Parks Board meeting. Fischer, Burnell C., Michael Steinhoff, Sarah Mincey, and Lance Dye. 2007. 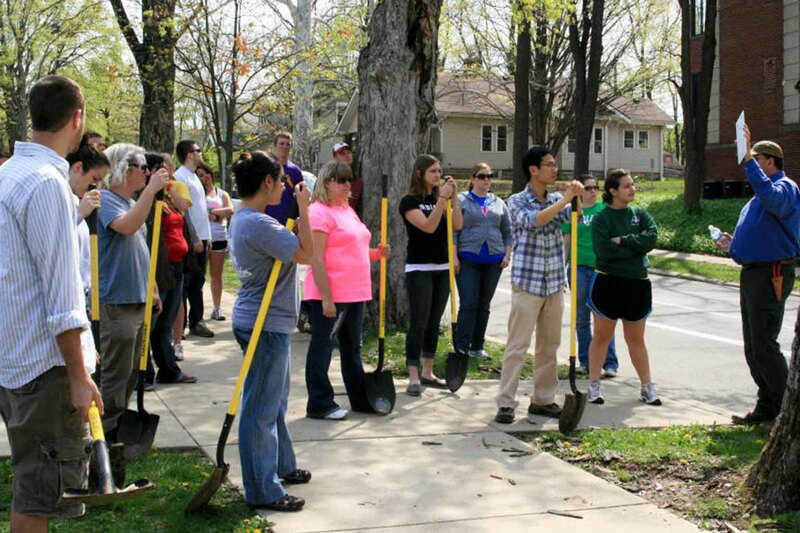 The 2007 Bloomington Street Tree Report: An Analysis of Demographics and Ecosystem Services. Bloomington Urban Forestry Report 01-07. 30 pp.